I hate being called Jack or Jacky. All my life I've hated it. I umpired the whole [1989-90] series between India and Pakistan in Pakistan. Four Tests: me and John Holder did all four. The two teams got on pretty well in the end. Because we were there, it put the tin lid on anything. It was an awful, boring 0-0. But it was one of the best experiences I've had in my life, to be involved in that series. I never thought I was good enough to play for England. Still don't. "I didn't have a clue what I was going to do when I retired. I thought to myself: I know a little bit about cricket and I'd like to stay in the game"
I enjoyed soccer a lot more [than cricket]. I thought I was a far better soccer player than a cricketer. I was offered trials at Huddersfield when Bill Shankly was there, and with Sheffield Wednesday and Doncaster Rovers, and I trained a lot with Rotherham United, which is my team. Fred Trueman was my hero. Permanently. I had the pleasure of driving him around for five or six years. I used to say the only reason I was kept in the side was because I was his chauffeur. He used to have me in fits, the stories he told. The best two Tests I umpired were England v Pakistan at Lord's , when Waqar [Younis] knocked off the runs, and England v West Indies, also at Lord's , when all four innings happened on the second day. Short, exciting games. In the Yorkshire team of the 1960s, we had at least seven batsmen capable of scoring 1000 runs a year - all right, we played more innings, but still. We had four bowlers capable of taking 100 wickets in the season: Trueman, [Tony] Nicholson, [Ray] Illingworth and [Don] Wilson. We had Closey, who was quite capable of taking 60 or 70. We had a world-class wicketkeeper, Jimmy Binks. It was a strong side. My father's best advice was to choose one or the other - cricket or soccer, he didn't force it on me - and to get a job, which I did. I chose cricket at 16, for the reason that I could earn more money, ironically. I played for Rotherham Town in the Yorkshire League, and I was an apprentice printer for five years. In the winter, that was heavy work. In the summer, it was two-day games for Yorkshire 2nds. I played four days a week, worked on Friday, played Yorkshire League on Saturday, and on Sunday either friendly cricket or travelled to the second-team game. I got my 2nd XI cap when I was 19, and as a consequence Yorkshire paid me in the winter: eight pound a month, which, on top of my printing wages, was fantastic. I didn't have a clue what I was going to do when I retired. It was no good trying to be a businessman, because I wasn't one. I thought to myself: I know a little bit about cricket and I'd like to stay in the game. I'd like to have done coaching, but it was precarious. 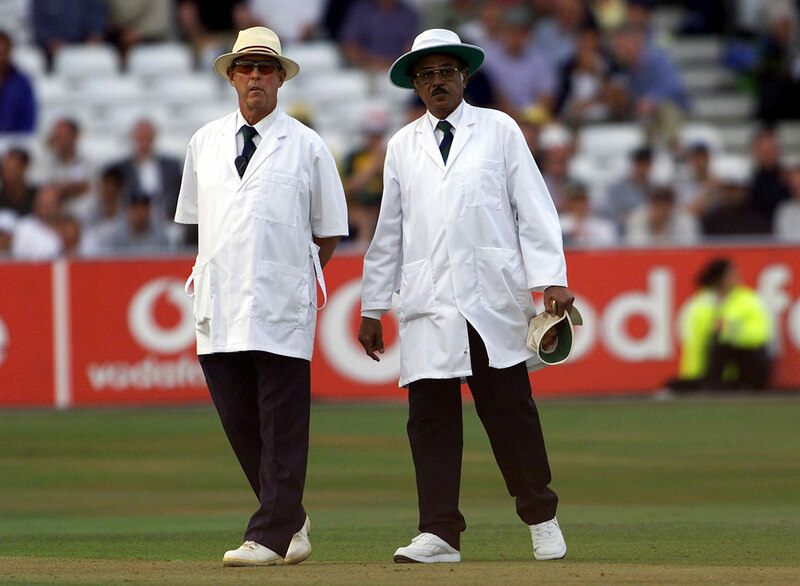 I managed to get on the first-class umpires list straight away, and it's one of the best things I ever did. Absolutely loved it. I wasn't presented with the Yorkshire first team cap. It was decided at an AGM. I found out through the newspaper. The only thing that changed was that our then secretary, Mr Nash, used to write to me: "Dear Hampshire..." Once I got my cap, it was "Dear John..."
As an umpire, I always wanted to take the first ball. 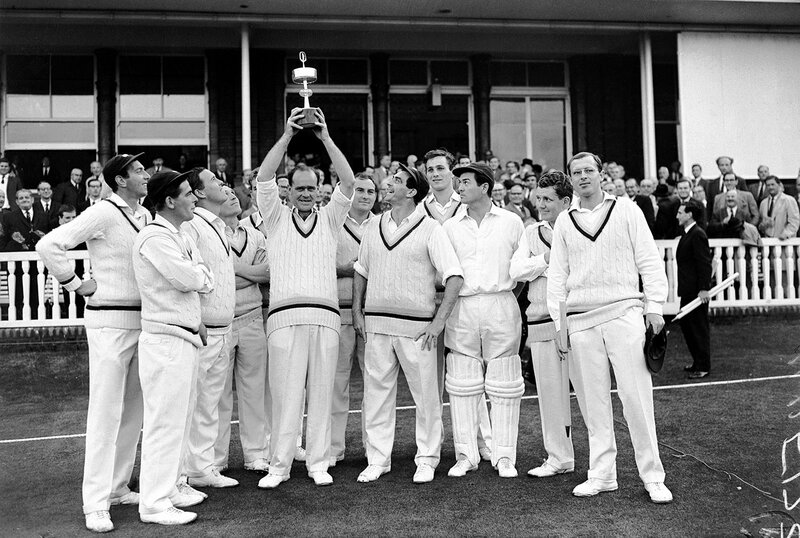 In some respects county cricket was a lot better in the '60s than it is now. Some respects, not all. A lot of that was because of uncovered pitches. But it was certainly far more social. "The 1979 and 1980 seasons [with Yorkshire] were the worst two years of my cricketing life. We had a reasonable side, but we weren't winning. I suppose, at the end of the day, I wasn't strong enough"
Initially Yorkshire might have been a difficult dressing room to feel at home in, but Brian Close was a tremendous captain. He integrated everyone. Most of the guys, they wanted to do well because they wanted the side to do well. And they wanted other players to do well. There were some terrific rows, but they were cricket rows. They weren't personal vendettas or anything like that. Closey was the ringleader a lot of the time, but as soon as they were finished it was, "Right, come on, we'll have a drink." When we played on uncovered wickets, every side had good offspinners: David Allen, [Fred] Titmus, Illingworth, John Mortimore. Then you had people like John Savage, Brian Langford: they never had a sniff of playing for England. Top performers. My England debut? I nicked my way to a hundred over four hours. I've never been so embarrassed in my life. God, it was terrible. I played and missed more than I hit. 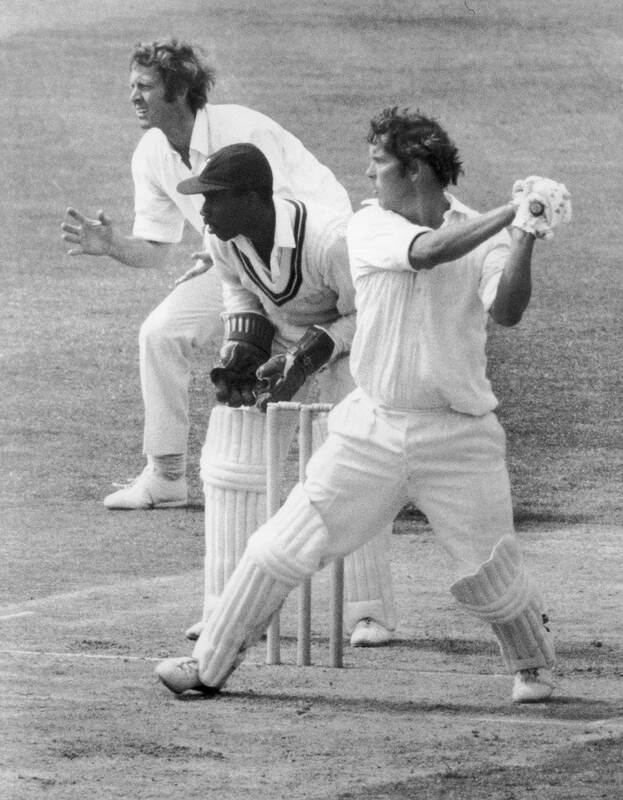 They had a good attack - [Garry] Sobers, [Lance] Gibbs, Grayson Shillingford, Vanburn Holder - but oh dear, a bloody nightmare. 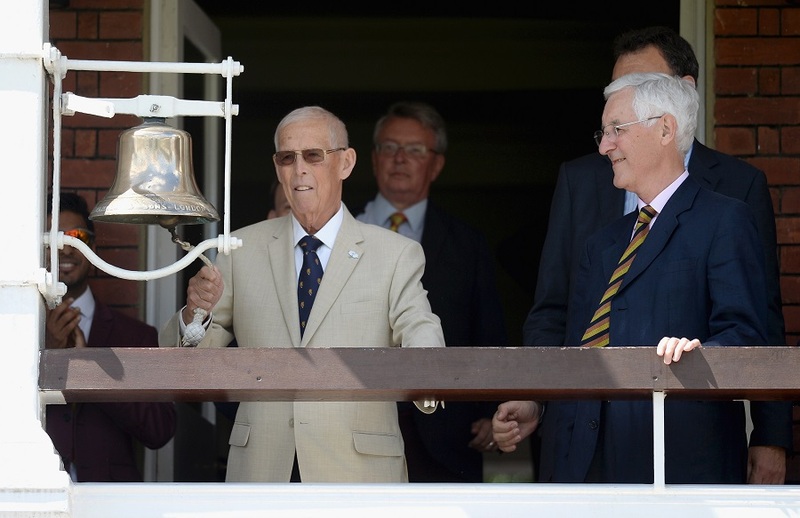 Donald Carr, who was MCC's assistant secretary at the time, a terrific bloke, he used to always tell me it was the worst innings he'd ever seen at Lord's. We changed the ball [at Lord's in 1992] and that was that. Nothing more to it. At the time, Wasim and Waqar were bowling so well, they'd have bowled them out with an orange. But they did complain a lot, the England players. Ken Palmer and I, after we changed the ball, we were quietly left off the international panel. There was no reason given. I never ever wanted or asked for the Yorkshire captaincy. I was under tremendous pressure from the group of fans that used to follow [Geoff] Boycott about, and I never felt I had full control of the dressing room. What I should have done is, when Illy came back, I should have played him. It's my only real regret. But those two seasons [1979 and 1980] were the worst two years of my cricketing life. We had a reasonable side, but we weren't winning. I suppose, at the end of the day, I wasn't strong enough. I'm a very keen gardener. I'm quite happy tending my garden and watching sport on television. Was Illy as good a skipper as Closey? It's debatable. I don't quite think he was. With Closey, he was completely inspirational, and bold. If we looked like getting a win from anywhere, then we'd get it. With Raymond, he just hung back a little bit. If Closey ever let things drift, he didn't half get some chirping from Fred [Trueman] and Jimmy Binks. The thing about Illingworth was that he led. He was ruthless. Absolutely. And stubborn. But he backed his players, and that's so important. If he'd not been captain in Australia [in 1970-71] then that team would not have won the Ashes. By the time I left Yorkshire [in 1982] for Derbyshire, I'd lost my love for the game. I was glad to get away, to be honest, which is terrible when you had the love for the club that I had. And still have. But my kids were being abused at school. And my wife. I went to Derbyshire because Woody [Barry Wood] was captain. It wasn't a political club at all. "When he got the ball in his hand, Fred [Trueman] didn't like batsmen. But afterwards, he'd buy them a drink - well, he wouldn't buy them one, but he'd have one with them"
I did 21 years of playing, 21 years of umpiring, and seven years of mentoring umpires. I only stopped being involved with the first-class game in 2014. It would be very remiss of me if I said I wasn't disappointed to be dropped after two Tests, especially after making a hundred on debut, but I wasn't massively unhappy. I didn't enjoy playing for England, and that was it. I have no particular ideas in mind about what to do as Yorkshire president. You're no longer part of the committee. I'm just a figurehead, upholding a tradition. But I did not even imagine in my wildest dreams that I would ever become the president. I thought I was lucky to just play for the club. Like most fast bowlers of his ilk, when he got the ball in his hand, Fred [Trueman] didn't like batsmen. But afterwards, he'd buy them a drink - well, he wouldn't buy them one, but he'd have one with them. Historically, I suppose Lancashire was the big match. But in my time Yorkshire and Lancashire were always big mates. Nice to beat them, yes, but in our opinion, certainly in mine, Middlesex and Surrey were the teams to beat. Tasmania were great years. Wonderful years. Jack Simmons was captain. I played their first two years in the Sheffield Shield - the Packer era, when a lot of the sides were missing their top players - and the three years prior to that. Once they started throwing bottles at Snowy [Sydney, 1971], Raymond brought us off. We were told that if we didn't go back out, we were going to lose the Ashes. Illy told them to bugger off. It was a very tough series. We only had one lbw in our favour on the whole of the tour. The whole of the tour! I was very lucky because Zimbabwe rang me up and asked if I'd coach them. I leapt at it. It was a fantastic experience. Great country, although I wouldn't go out into the bush because I was terrified of snakes. I went to Vic' Falls a lot, but I kept to the pathways. When Zimbabwe went into Test cricket, we had just four professionals: Dave Houghton, the two Flowers and Alistair Campbell. The inaugural Test, against India, we batted till lunch on the third day. There's a saying: time is a great healer. Geoffrey [Boycott] and I speak now if we see each other. There was a time, in the late seventies, when we didn't. We fell out. There's been that much written about it - I just let it float over my head now. My time's short on this earth, and I don't want to be wasting my breath talking about all that.